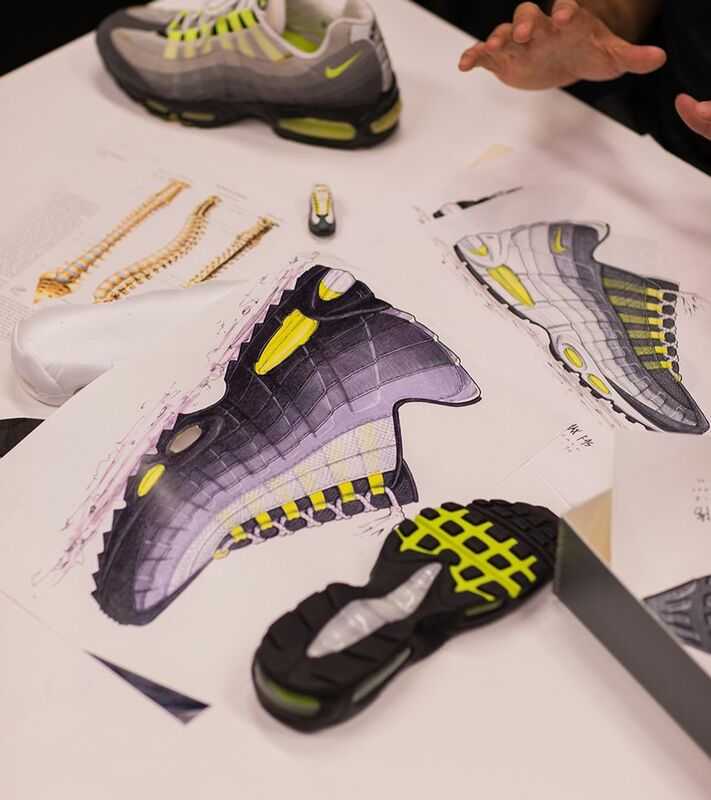 It’s been two decades since the Air Max 95 arrived and changed running footwear forever, catching everyone’s attention with vibrant neon yellow hits and a design inspired by the human anatomy. 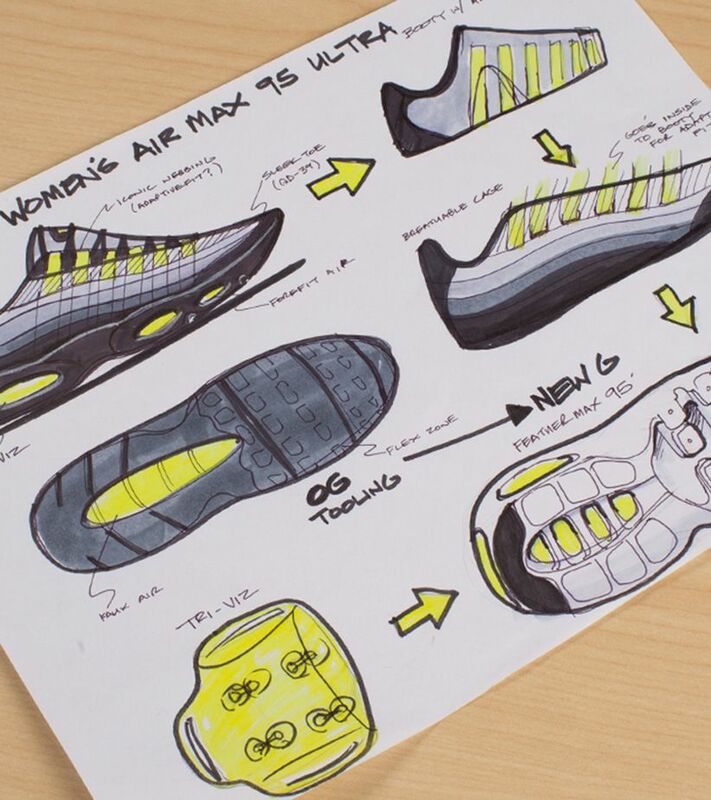 How does the sneaker's legacy evolve for its 20th anniversary? 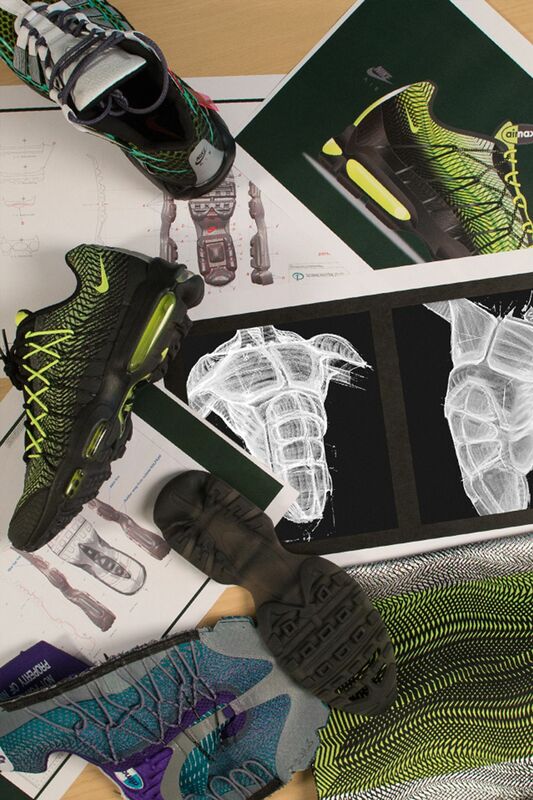 The Air Max 95 Ultra Jacquard. With that impression in mind, Yun decided to see what was behind the 95’s skin and depict what one might see if they were inside a muscle. 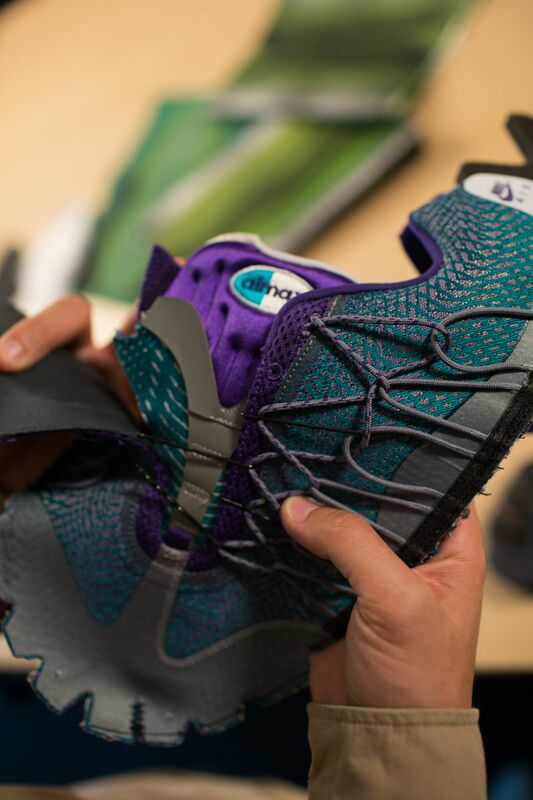 Following eight rounds of prototypes, Yun settled on a one-piece jacquard upper and a cutout-injected Phylon Air sole to reduce the shoe’s weight by 1.5 ounces. To reduce waste, the OG-inspired tongue is constructed with remaining Jacquard scraps. 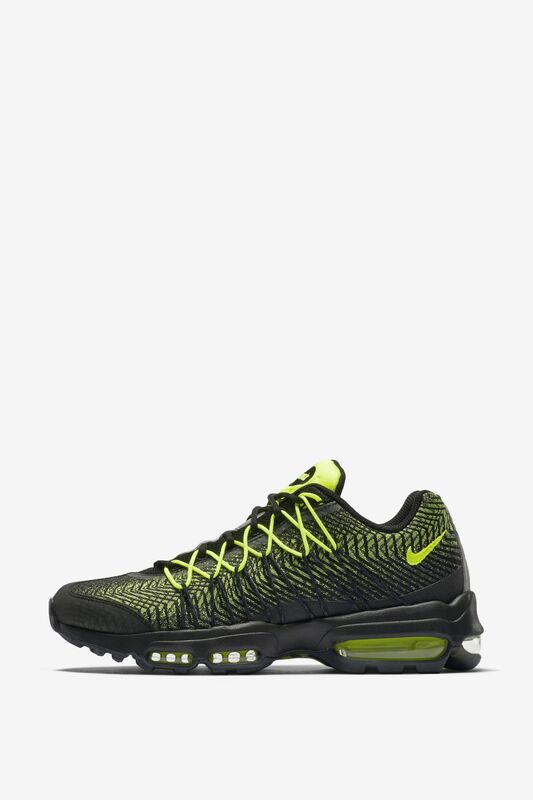 For its most defining feature, the Air Max 95 Ultra Jacquard features Magwire eyelets, which are prominently exposed across the upper. 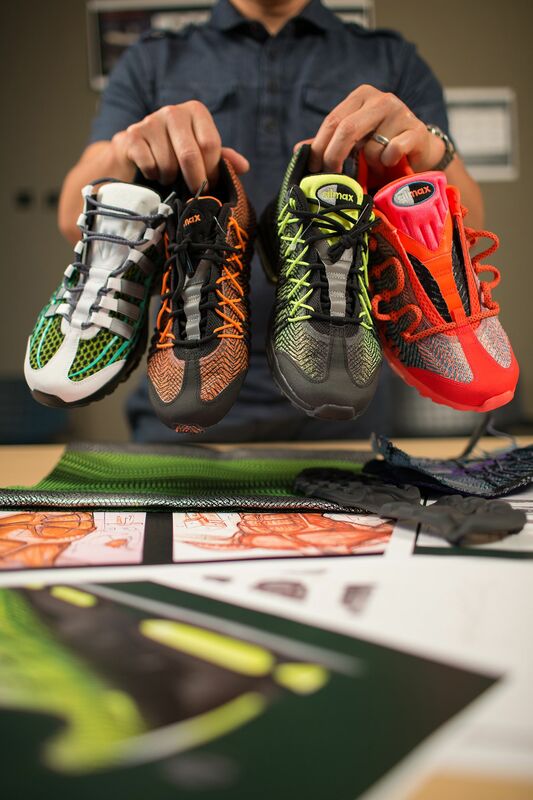 The unique wiring system completely wraps your foot for an all-around, dynamic fit. Peeled back and fully exposed, the Air Max 95 Ultra Jacquard embodies 20 years of Air Max innovation and debuts as the lightest Air Max 95 yet.